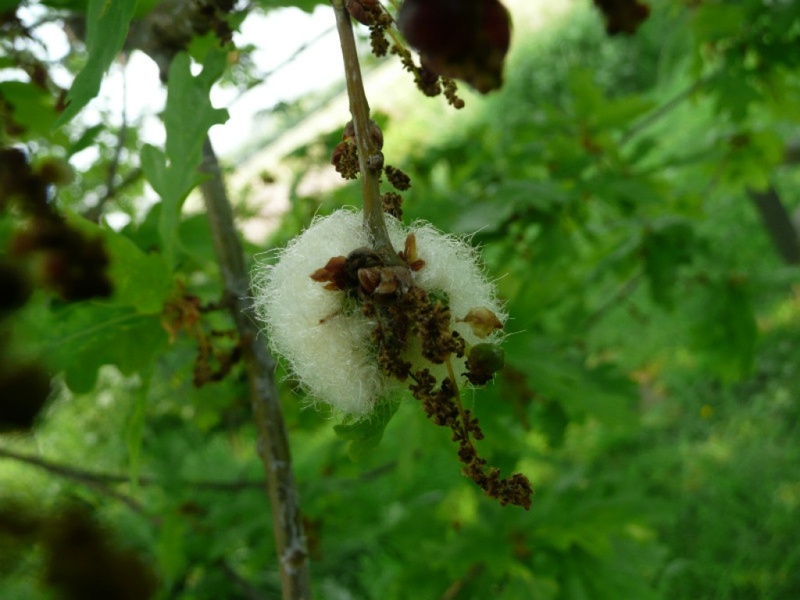 Andricus quercusramuli is a cynipid wasp that causes galls to form on the catkins of English Oak and Sessile Oak. 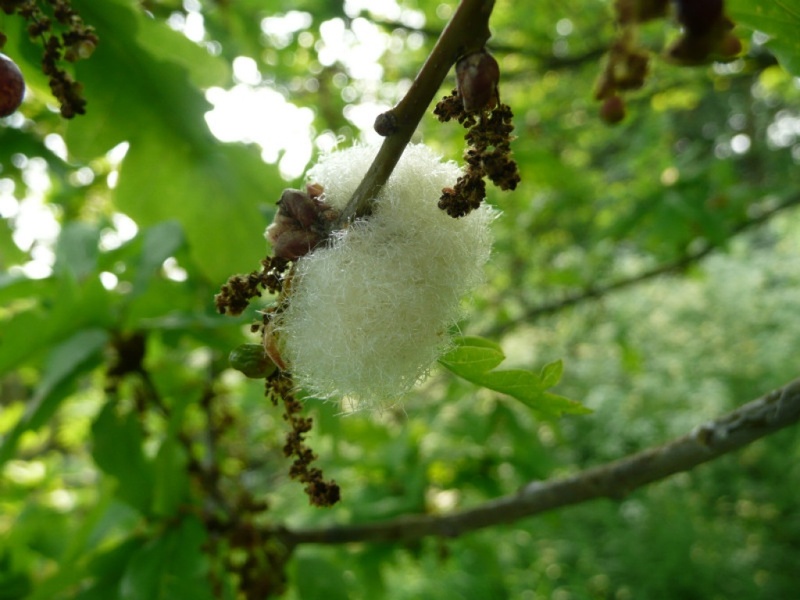 Cottonwool galls are the sexual generation of Andricus quercusramuli (the asexual generation is a bud gall on oak). On English Oak and Sessile Oak. 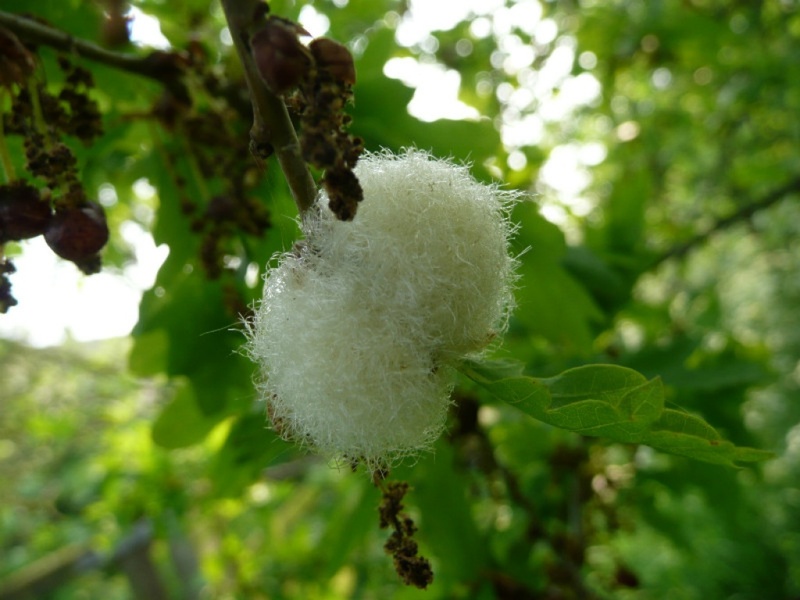 Galls from spring (cottonwool galls) to late summer (bud galls). The spherical mass of white hairs hides up to 20 gall chambers, each about 2mm dia. and occupied by one larva. These mature and emerge in late June and following mating, the females then cause the alternate asexual generation galls in oak buds. Occasional in England, though probably under recorded. Scarce in Leicestershire and Rutland where there are only a handful of records.